Bohemia Interactive's DayZ alpha moves 400,000 units in its first week, with peak concurrent player numbers revealed, too. Following news that the DayZ alpha moved 172,000 in its first day of availability, developer Bohemia Interactive has now revealed that the title has already moved 400,000 units in its first week. Additionally, the studio has also announced that at its peak, the survival horror title had 40,000 concurrent players online. This is made even more impressive since DayZ is still in its alpha testing stage, and has its fair share of bugs that have yet to be squashed. To date, there have been three patches released for DayZ in seven days since it's been made available to the public. While updates should be slow this week due to the holidays, Dean Hall, chief designer of DayZ, has confirmed that upcoming improvements will be incoming, which include the addition of extra zombies, tweaks to player and item spawning, new animal behavior and hunting options, anti-hack protections and a few more. For those not familiar with the game, DayZ is a multiplayer open world survival horror affair developed by Arma III devs, Bohemia Interactive. 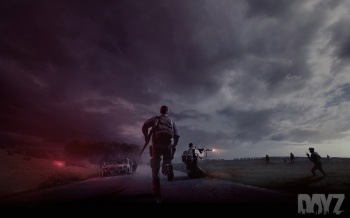 In the game, players are placed in the fictional post-Soviet state of Chernarus, where an unknown virus has turned most of the population into zombies. Players must then traverse the world and scavenge for food, water and medicine while killing the undead to survive.